Because my car is outside most of the time, I like to replace the wheel studs every other year. This has been an especially harsh winter so they are really very corroded. The process is not difficult, but getting good leverage in a tiny garage without a lift can be a challenge. Here’s the method that works for me. I’m using Apex Studs and they put together a little video explaining the process. 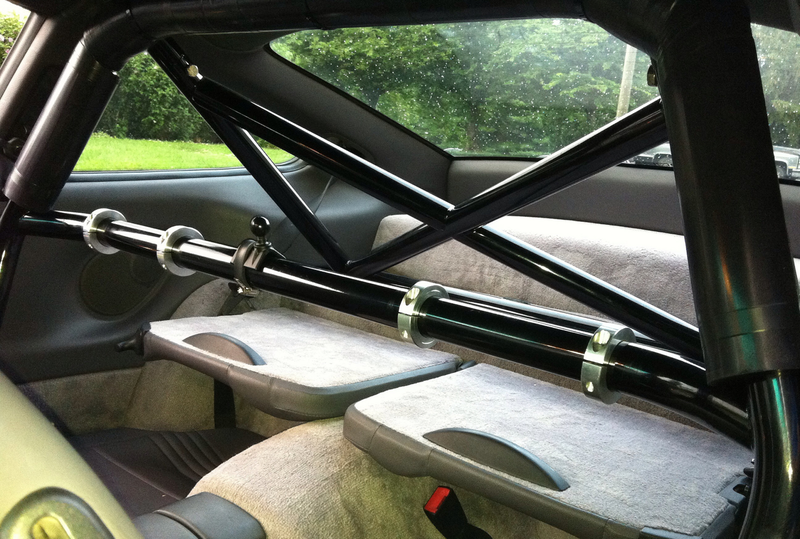 Before we started carrying the Agency Power Rollbar for Porsche 996/997, I used to have a DAS Sport Rollbar in my car. 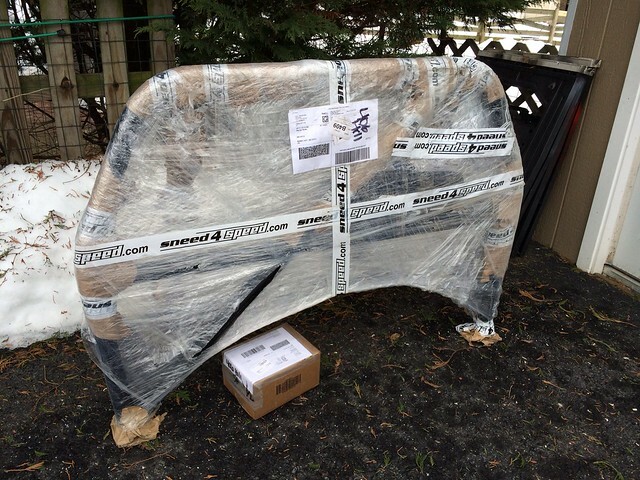 Here are some tips for installing it in a 996/997 Coupe. 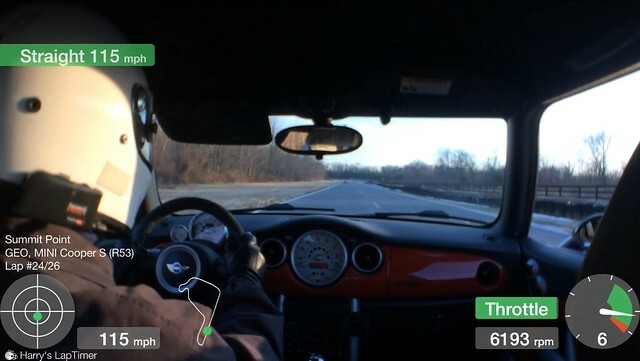 The instructions published on the DAS Sport Website are pretty straight forward and with practice, the rollbar can be installed in about 45 minutes by yourself, though it’s always easier with a helper. To begin, make sure you have enough room to maneuver with both doors wide open. You’ll need at least six feet free to maneuver on the passenger side. You don’t have to remove both seats, but it certainly is easier if you do, especially with fixed back seats. At a minimum, remove the passenger seat completely and remove the seat-bolts from the driver’s seat and move it as far forward as possible. If you car has seat-mounted airbags, as long as you do not turn the key with the airbags disconnected, you don’t have to worry about resetting the airbag warning light so make sure you don’t have to move the car once you start to work on this project. You will also be removing the carpet covering the ECU and strut mounts behind the rear seats. Consider if you want to carpet it or modify your current carpeting before you begin. It’s very difficult to try to put carpet back there once the bar is installed. You should also decide if you want to remove the rear seats or just leave them folded. You save a little weight by removing them, but with them folded you actually have more practical storage space in the back as you can use the folded seat as a shelf and stow small items on the seat below relatively out-of-sight from outside of the car. 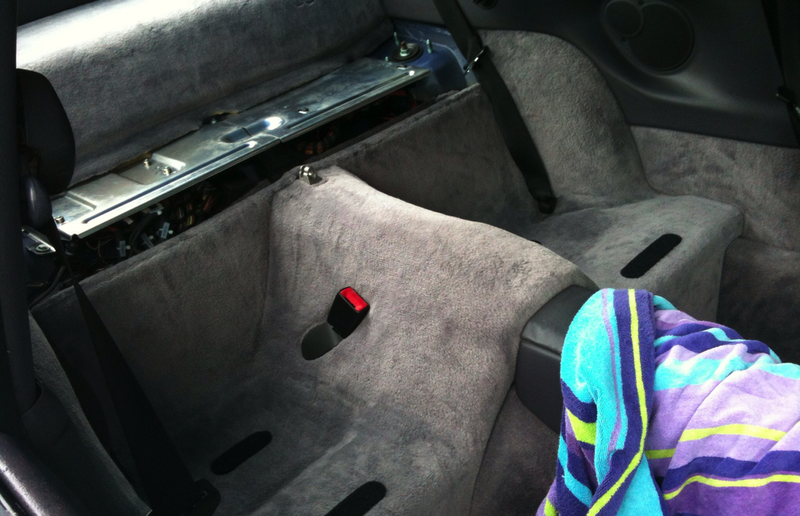 Using heavy beach towels, cover the center console, door plates and seat backs. The bar is very cumbersome to move around and you do not want to scratch your interior. 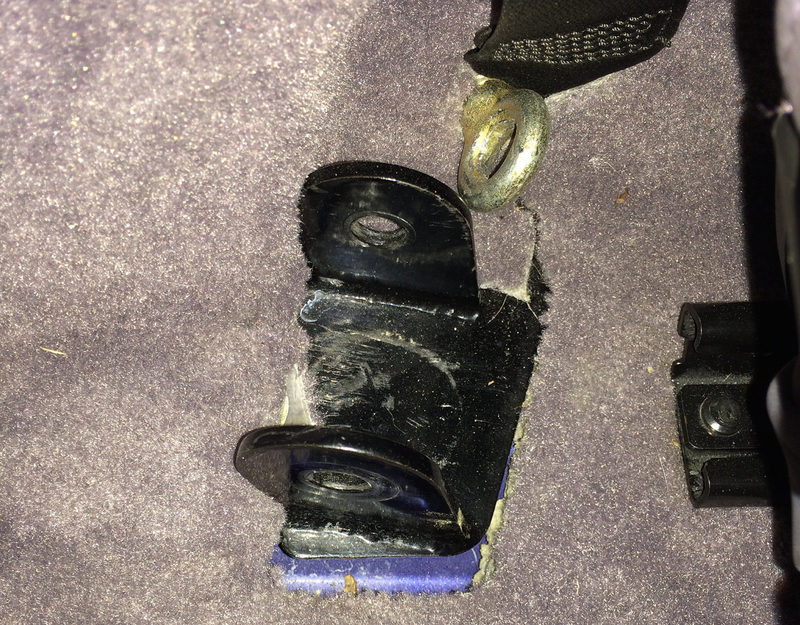 Start by preparing to remove the seat-belt mounting bolts in the rear foot-well. Take time to note or photograph the way the seat-belt fits, especially the half twist that is necessary to get it to line up correctly. Check that you have the correct foot plate for each side and install the eye-bolts but do not tighten them. 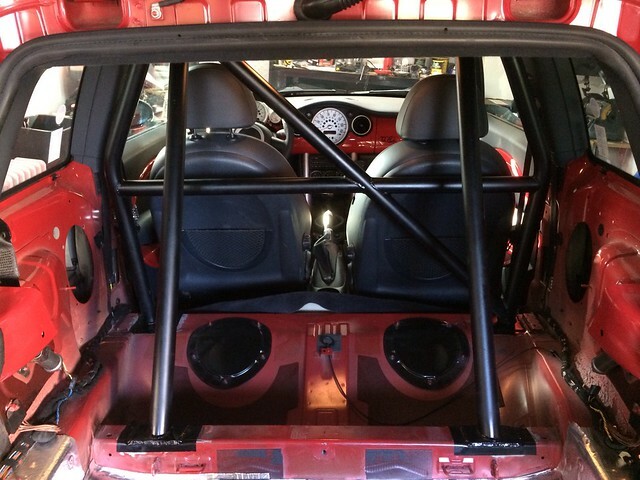 You will need to finish installing and tightening the upper bolts of the rollbar before tightening the eye-bolts. My carpet was cut — it is not required for this to fit properly and not recommended unless you plan to remove your carpet soon and don’t want to have to remove the rollbar. 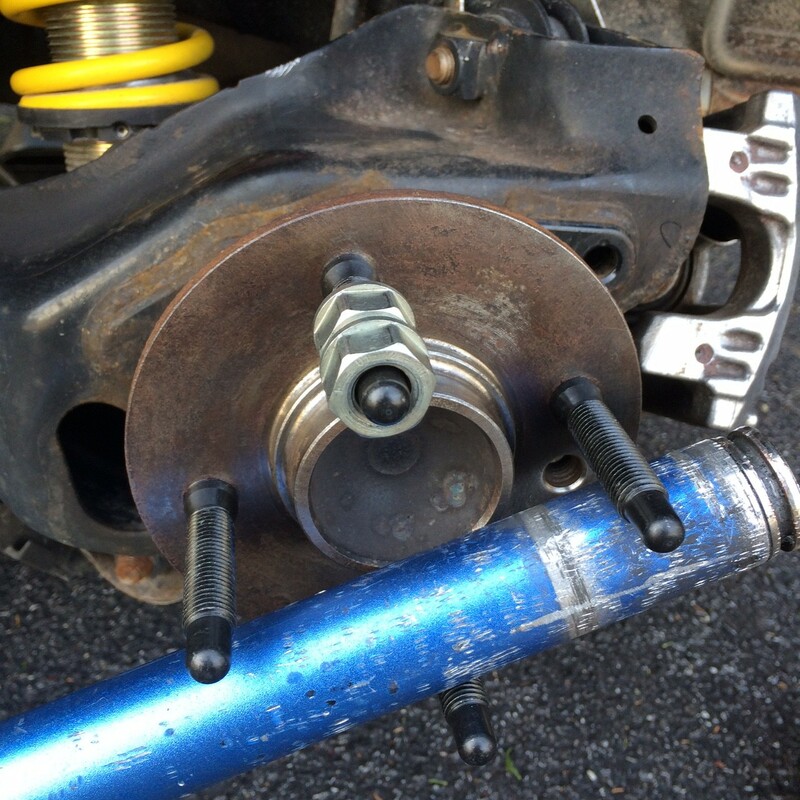 Remove the six nuts from the rear strut mounts. Note the angle of the mounting brackets on the rear section and turn it upside down. Carefully feed it into the car and rest it in the rear foot-well. Have someone help you flip it on to the rear strut mounting bolts. You will have to work it into position around the seatback stops and trim. Get all six openings into position and loosely tighten only the rear nuts to ensure it does not fall forward. Loosely tighten the remaining four nuts as well. 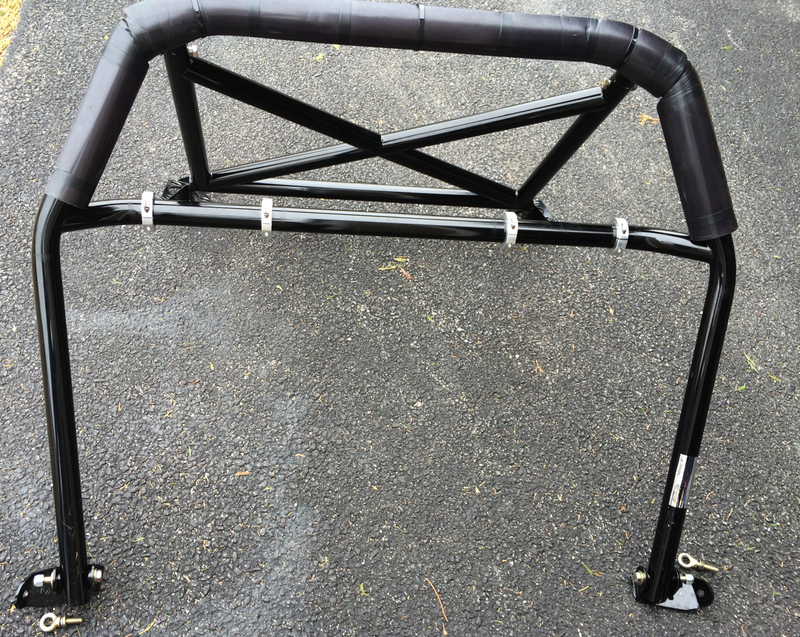 Orient the main rollbar as it will fit inside the car. Working from the passenger side, tip it so the bar is to the back and the foot is toward the front of the car, and work it in from the passenger side and around/over the driver’s seat before standing it up in the rear foot-well. It is cumbersome to move so consider wrapping the ends in shop towels to help prevent damaging your interior. Work the connectors to the rear section first and feed the bolts from inside to outside and tighten loosely. Put the foot into the driver’s side base and fit the bolt through from inside to outside. You will find one side will line up perfectly and the other will require some encouragement — this is normal. Encourage the other side to fit with a small rubber hammer and/or a very long flat-nose screw driver and fit the second bolt. 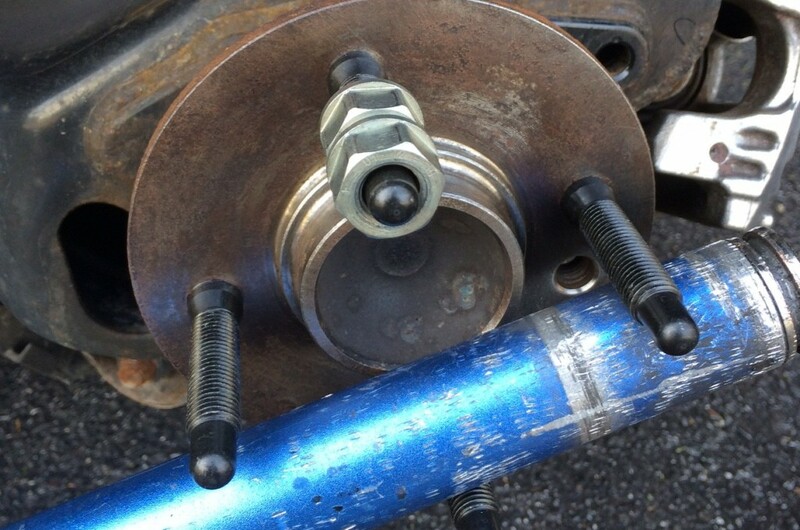 Tighten both lower bolts loosely. If everything is lined up, tighten from rear to front, starting with the rear strut mounts and torque to spec. The last bolts to tighten will be the eye-bolts. Use a screw driver and a vice-grip to turn them, but do not over tighten. Consider using bar padding on the main hoop starting at door sill height. Check your view with the rearview mirror before you buy padding. You may want to get the mini padding type that won’t extend down so far into your field of view. You may have to remove the cover on the seat-belt height adjuster slider on the B pillar if you still use the stock belts. Ecliptech Shift I shift light installation DIY for Porsche 996. 1. Open fuse panel door and remove four screws. 3. 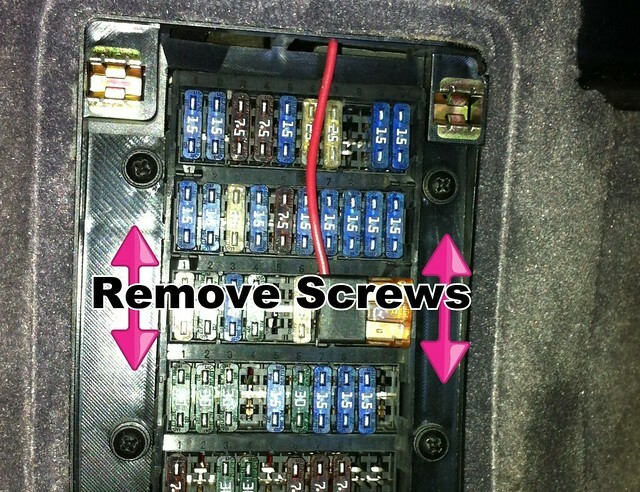 Remove the three Torx screws holding the OBD-II port. 4. 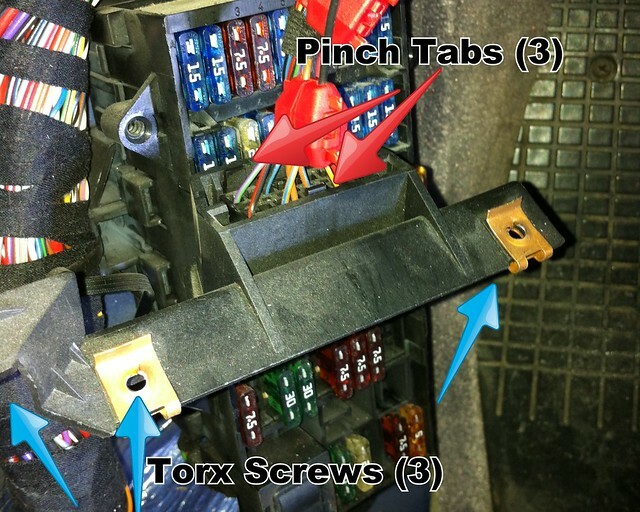 Remove the OBD-II port from the bracket by squeezing the pins on the back of the connector. 5. Locate the brown (ground) wire going to pin #4 and the violet/green (RPM Signal) wire going to pin #9. 6. Position the shift light approximately where you want to install it and run the wires through the dash. 7. Connect the black wire from the shift light to brown ground wire going to pin #4. 8. Connect the blue/black wire from the shift light to the violet/green RPM Signal wire going to pin #9. 9. Locate an accessory fuse, 7 amps or less that is powered only when the key is in the on position (I used a5 amp fuse) and use a fuse doubler to “add-a-fuse”. 10. Connect the red wire from the shift light to your new power source. 11. Insert the key and turn to he on position. The shift light should perform a self test if wired correctly. 12. Secure any excess wire under the dash. 13. 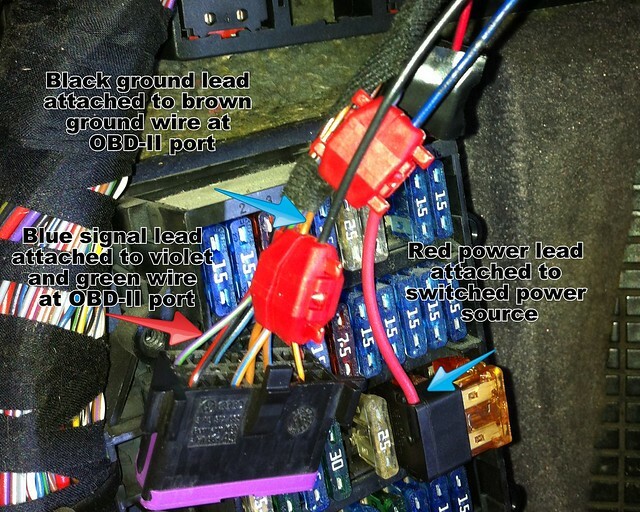 Reattach the OBD-II port holder. 14. Reattach the fuse surround and replace the fuse cover. 15. Use double-sided tape to attach the shift light. 16. Follow the instructions that came with the shift light to configure it. I really like that this unit is fully configurable. You can set the shift points, the pattern, the light intensity, whatever you need to get your attention without being obtrusive. 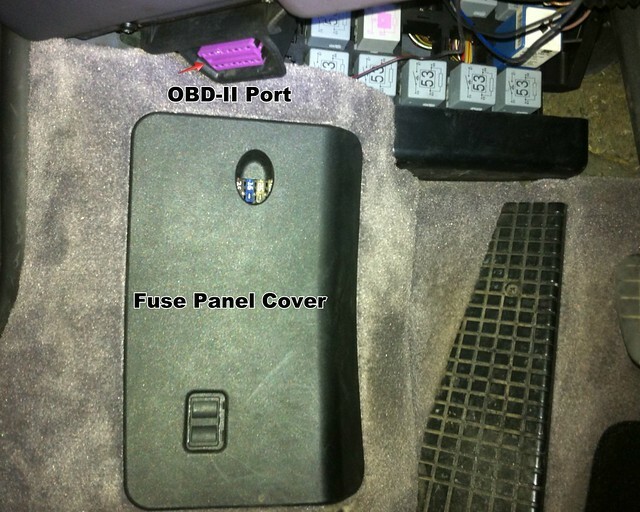 If you car has OBD-II you can install it. You just need to know where to pick up the RPM signal. I put one in the MINI too. 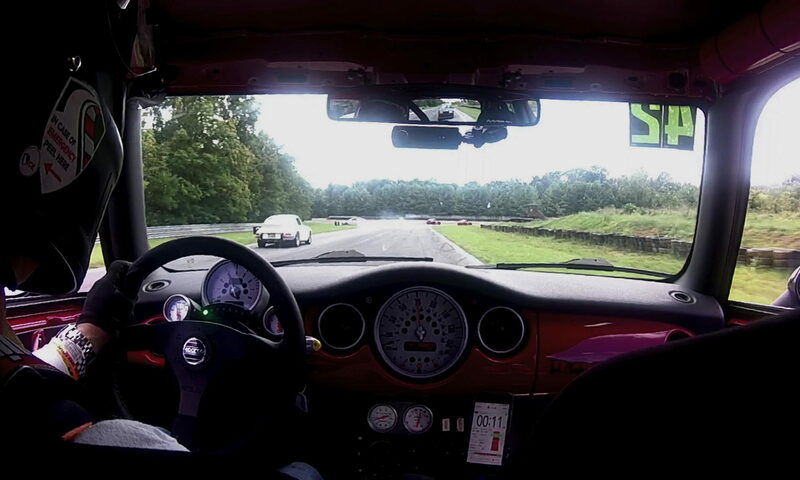 For the most part, stock MINI brakes and even the beefier JCW calipers do a decent job of dissipating heat at the track. I generally advise students to run a higher temperature brake fluid and to get some better brake pads like Hawk HP Plus and they should be good for most 20-25 minute HPDE sessions. But for those days when you want to run longer or the ambient temperature is already approaching 100 degrees, you may need some additional cooling. That’s when this DIY will pay off. 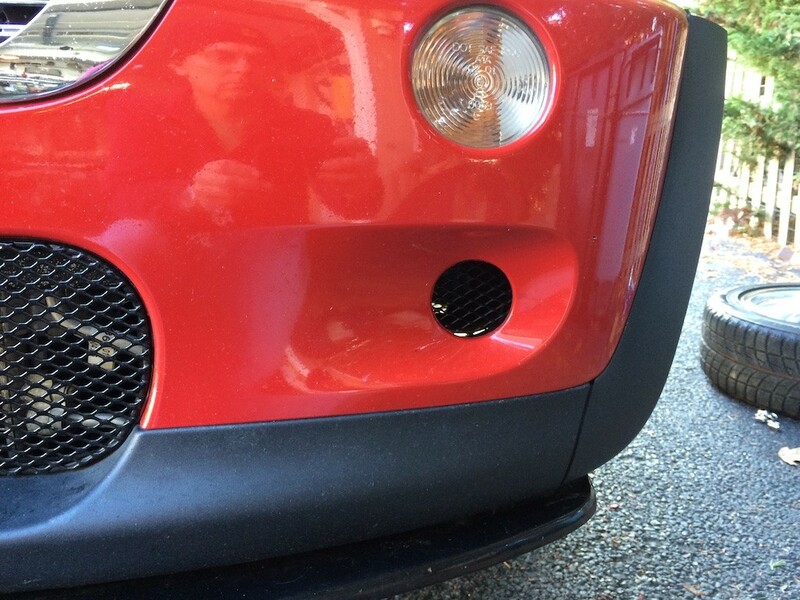 The basic idea is pretty simple: The air in front of the bumper is a high pressure area. The area behind the wheel in the wheel well is a low pressure area. Create a path between the two and air will flow through and aid cooling. It won’t be as dramatic as dedicated ducting pointed directly at the hub, but it also isn’t as troublesome for the 99 percent of the time that your aren’t at the track. Expect to spend $10 to $75 and a couple of hours of your time. You’ll need a three inch hole saw, some zip-ties, and some tubing. You’ll loose the use of your foglights (if you have them) but you can put them back in the winter. You might have luck just holding the tubing behind the bumper cover with compression, but I ended up fashioning a make-shift duct out of an old set of fog light covers (MINI part numbers 51711481435 and 51711481436) which are about $19 each. Just cut the center out and add a screen to keep out debris. 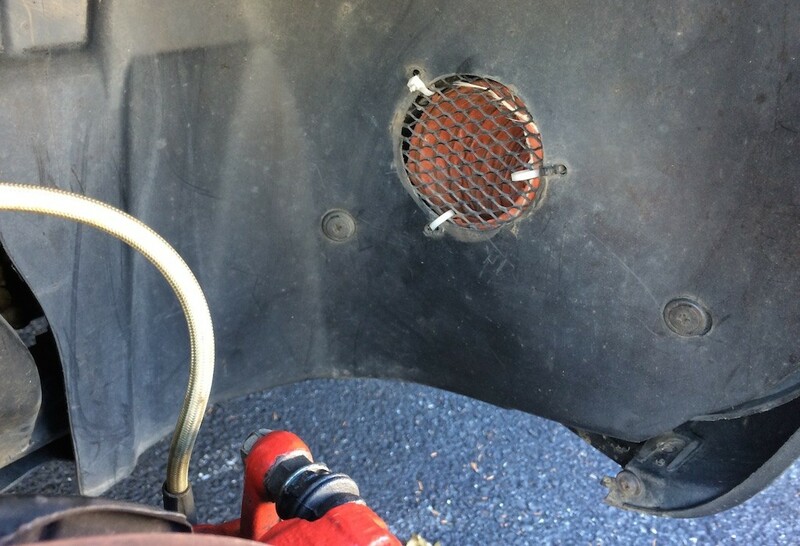 Attach about a foot of tubing to the other end and pick where you want to cut the wheel liner. 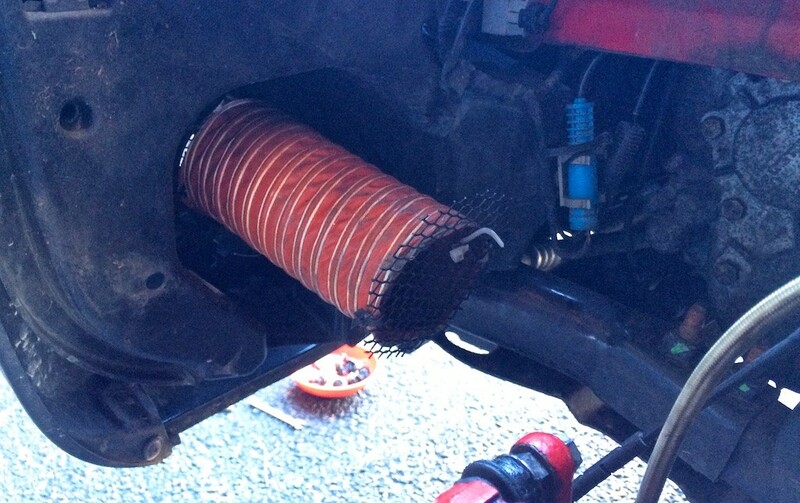 Attach the tubing to the wheel liner with zip ties. Wire mesh comes in handy here too. when you’re all finished, you can hardly tell anything has changed. Good for a 50 degree drop in caliper temps at Summit Point in August. According to the National Weather Service, the wind-chill of 7 degrees F at 109 MPH (the max speed of their calculator) is -29. Seat heaters are wonderful things and you don’t want to stick your hand outside if you don’t have to. Even with road surface temperatures near 20 degrees, summer tires will get warm enough to grip (they aren’t supposed to work under 40 degrees) and will actually reach temperatures near 100 degrees. 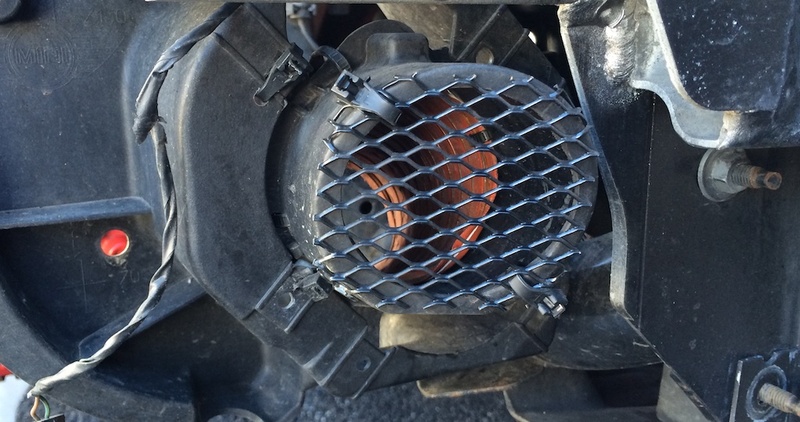 The Roots-type Supercharger really likes the higher density air that comes with extremely low temperatures. The biggest disadvantage to having a driving event in this type of weather is the preparation that’s always required for the first event of the year, especially if you have a garage with questionable heat. 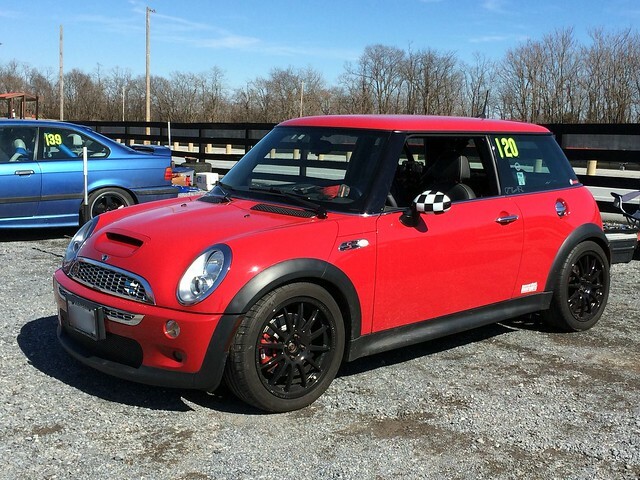 During the few days of above freezing temperatures, we did manage to install new brake calipers and rotors; flush the brake system; reinstall the cold air intake and prep the interior for the roll-bar install. 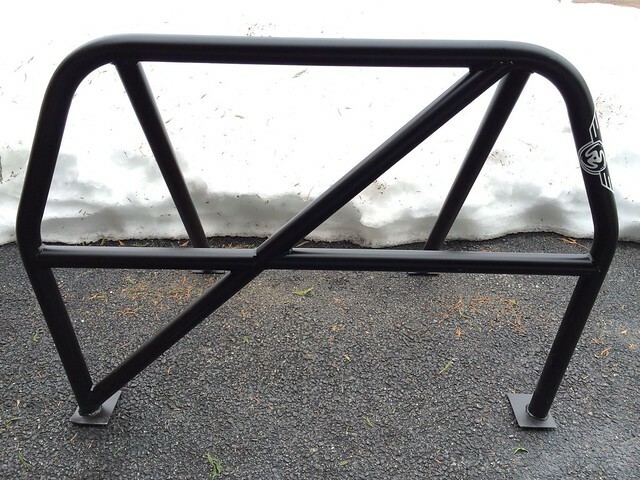 The big news for this year is the installation of the SneedSpeed roll-bar. 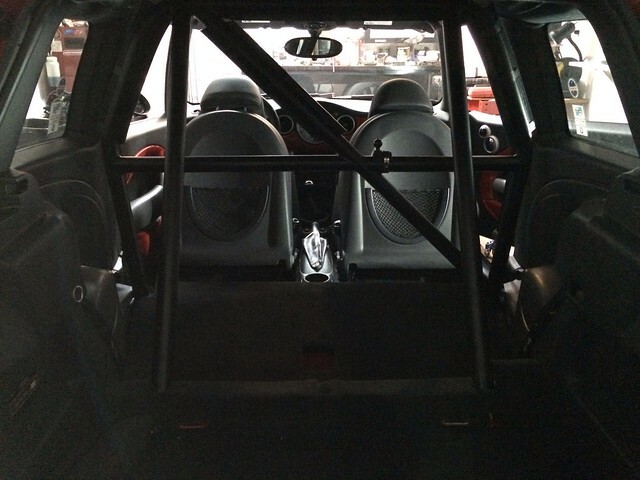 Finally crossing the line from street-car to dedicated track-car, the rear seats have come out for the last time and the roll-bar was welded in. The finished job looks great. We’ll have to do a better job of fitting the required padding once things warm up again and the padding becomes more pliable, but it was good enough for this weekend. The interior trim required only a small amount if trimming on the bottom edge where the side meets the roll hoop where it welds to the chassis. Removing the side pockets from trim panels reduced the total amount of trimming that was required. All that is left now is to re-carpet the plywood panel that sits where the seat-bottoms were.